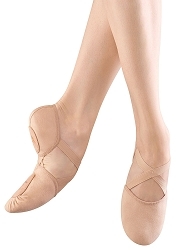 Buttery soft and light weight split sole ballet slipper made of innovative four way stretch canvas hugs the dancer's foot perfectly. 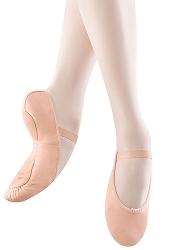 Seamless body, U neck with ultimate streamlined fitting reflecting contours of the feet. Extremely flat pleats. Suggested Fitting: Try 2 - 21/2 sizes larger than your regular street shoe size.